Your Digital Project Goes Here! Scroll Down for Member Submissions!!! This page is reserved for you to show off your digital project work. If you've completed a digital storyboard, video, slideshow, map, or any other kind of electronic based presentation, notify us and we will review it. If every aspect is appropriate, we will post your presentation here for 4-H members across the country to see. Need ideas? Look at the introductory video pages as an example of a project. Then think about your own interests. For instance, you can map the Bozeman Trail with informative way points along the path, construct a biography of an Old West person using photographs, narrative, and music, or describe your persona on video and talk about how you gathered your information. The list could go on and on and the topics are limitless. Need more ideas to investigate? Describe the history of: steam powered paddle wheel boats, stagecoaches, medicine in the west, saddles, gun models, famous or not-so-famous persons, foods and cooking including chuck wagons, clothing, hats, boots, railroads, cattle drives, frontier law, or anything else that strikes your fancy. As you can see, your project topic is yours to decide as long as it is appropriate to a wide audience and falls within the frontier time period. Here's a simple test: If you wouldn't show it to your grandmother, we probably won't post it. 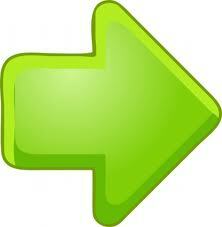 And don't forget to share your project with your fellow 4-H club members and your community before contacting us. Talk to your local 4-H leader or County Extension Agent about the technology needed to get started. There are several free computer programs that will do the job and they're easy to use. 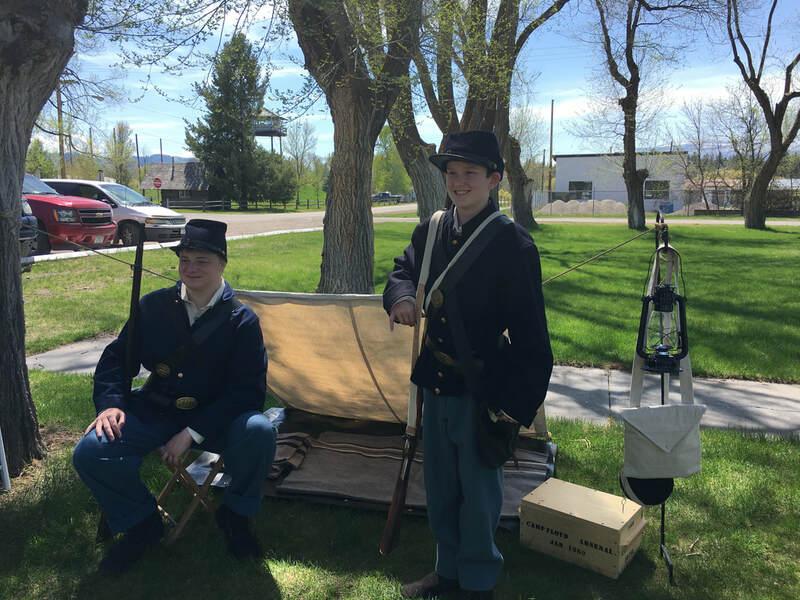 Two of our Missoula County western heritage members went to the Rocky Mountain Military Museum to volunteer this spring. They were asked to dress in civil war era uniforms and be a back-drop for a formal presentation by Tate Jones the Museum Director on Steptoe's Retreat in the Spokane Indian War of 1859. They were also told to man a replica army camp and interact with visitors as best they could. When they volunteered a month ago, they thought they would be working with a group of experienced reenactors but as it turned out, they were the only two who showed up. They were on their own. When Tate was done with his formal presentation, he turned the two 4-H members and announced "Now our reeactors will give a presentation". My heart jumped into my throat! This was a total surprise and I knew neither had studied or was prepared to talk to an audience on the Indian Wars. 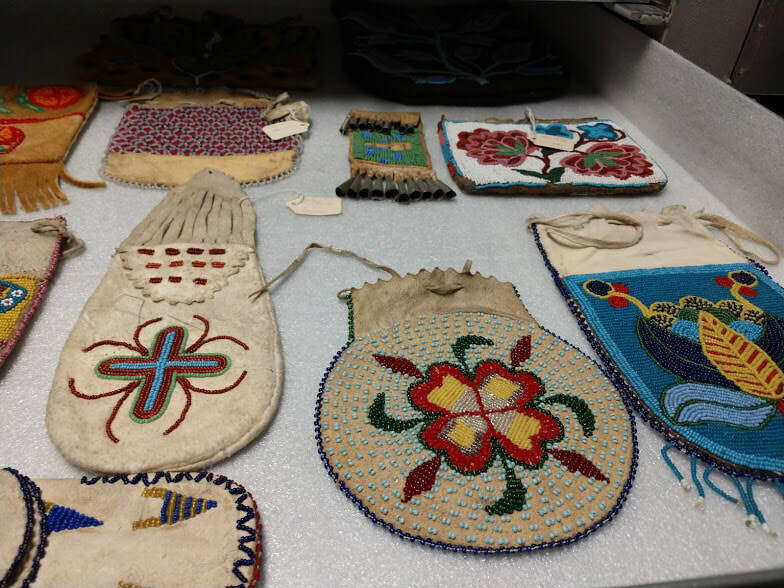 But without missing a beat, they both stepped forward, introduced themselves, and began a run down of what they were wearing, the type of fabric, shoes, hats, the gear surrounding them in their camp, and the guns they had been issued. I could hear them drawing on knowledge they learned during the past 5 years; from Fort Benton to Virginia City to DeSoto and Bertrand. They talked about writing letters homes and keeping personal journals all of which they saw when they toured numerous museums. They talked about the steamboats coming up the Missouri to Fort Benton and the overland routes to the mine fields. They explained how to make hardtack and other rations they may have been issued. They hit it out of the park! When I ask one of them later what thought popped into his head when Tate turned and announced they would now be speaking, he said the only thought that came to him was, "Well let's do this." 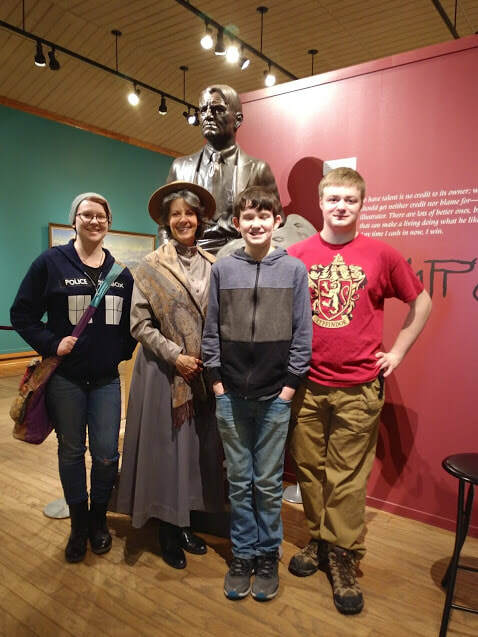 A group of Missoula County 4-H Western Heritage Project members toured the Montana State Historical Society Museum and had a private tour of the Charlie Russell Art Exhibit with Mary Jane Bradbury as she portrayed Mrs. Russell. Mary Jane shared a wealth of information about first person and third person interpretation. 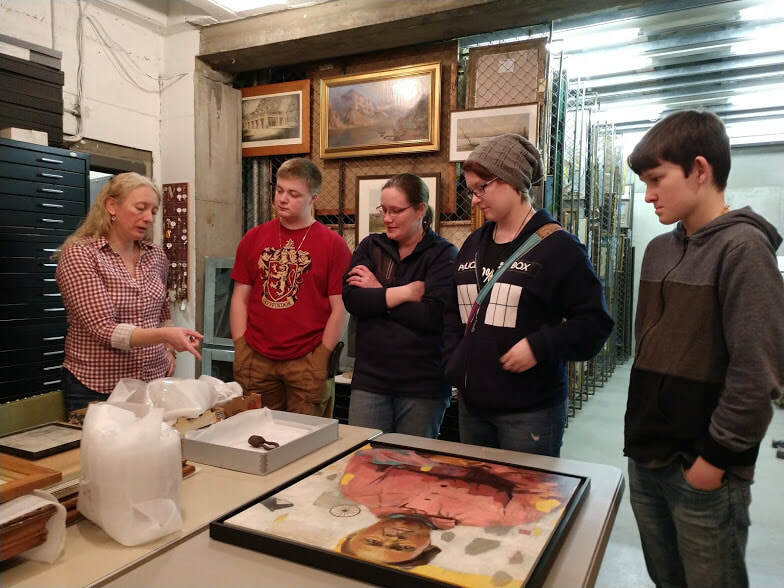 The group also managed another private tour with the Curator of the Historical Society visiting the storage and curating facilities including the Charlie Russell vault. 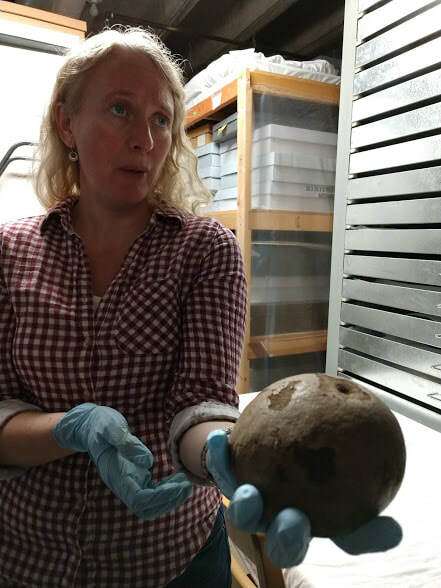 In the last photo, the curator is holding a mystery item. After numerous guesses she shared the answer... yes friends and neighbors, that is a hair ball from the stomach of a bison. Here's a new twist on creating your own ammunition block. Find a drop antler or use an antler from last year's deer season and drill 20 holes appropriate for your caliber of firearm. Make sure to separate five holes for one pistol, 5 holes for a second pistol, and 10 holes for your rifle. 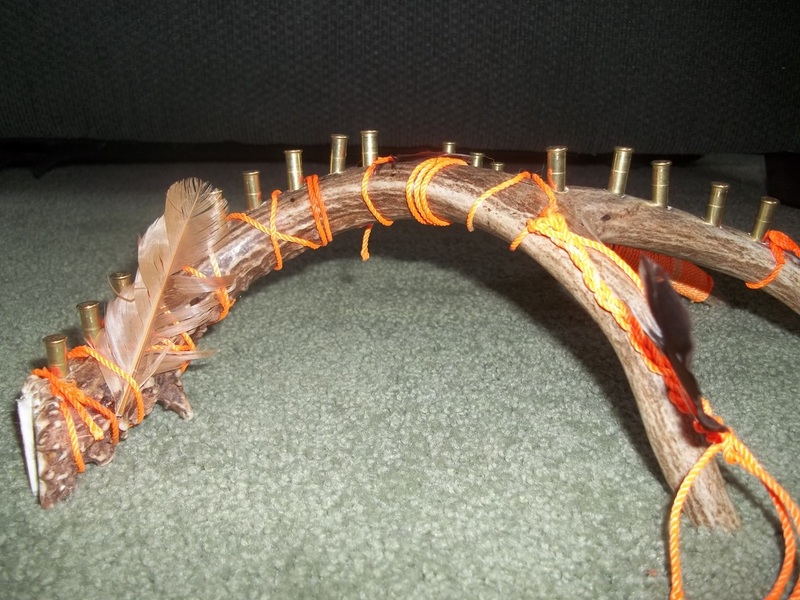 Use your own creativity to decorate your antler for a custom look! It's quick, easy, and unique!